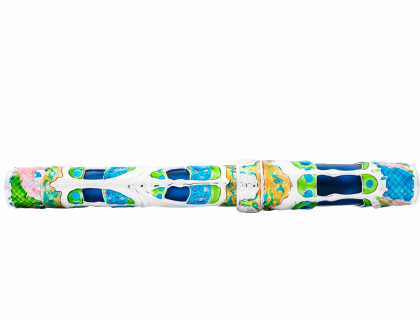 This pen created from Visconti artisans is the perfect interpretation of the philosophy which pervades Casa Batlló. 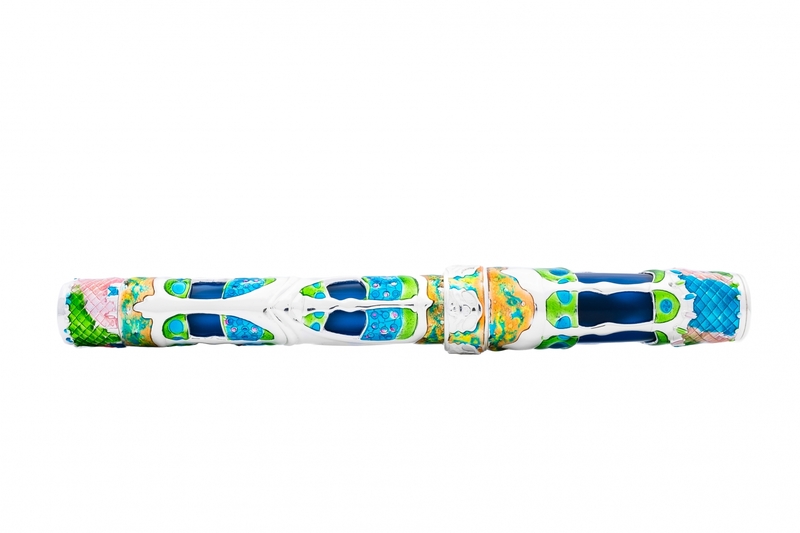 Indeed, the owners of Casa Batlló, very enthusiast about the pen deisgn, have given to Visconti the right to present this masterpiece to the world, as ambassador of the essence of Antoni Gaudì. Visconti has used the most sophisticated techniques: from micro-fusion pieces reworked by hand piece by piece, to glossy enameling and iridescent coating to reproduce the tiles on the roof of the building. 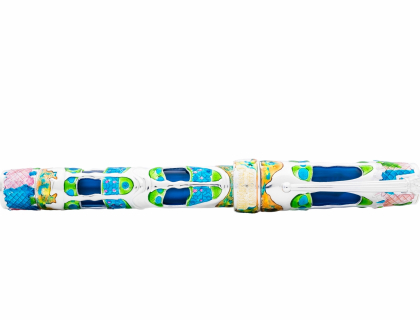 The careful research of materials, carved keeping the curves and lines of the original building of Casa Batlló, are synonyms of Visconti craftsmanship skills. On top of the cap as well as on the blind cap the shape is respecting the particular design of the roof (built from small colorful tiles). The roof is arched and was likened to the back of a dragon. The clip (rounded to the left of center and terminating at the top in a turret and cross) represents the lance of Saint George plunged into the back of the dragon. 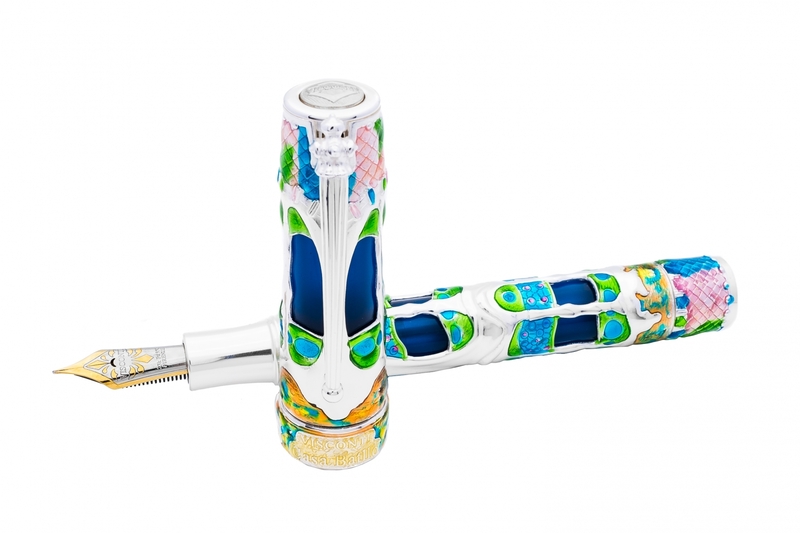 The pen is provided with the famous double reservoir power filler patented from Visconti as well as with the iconic 23kt Palladium nib. 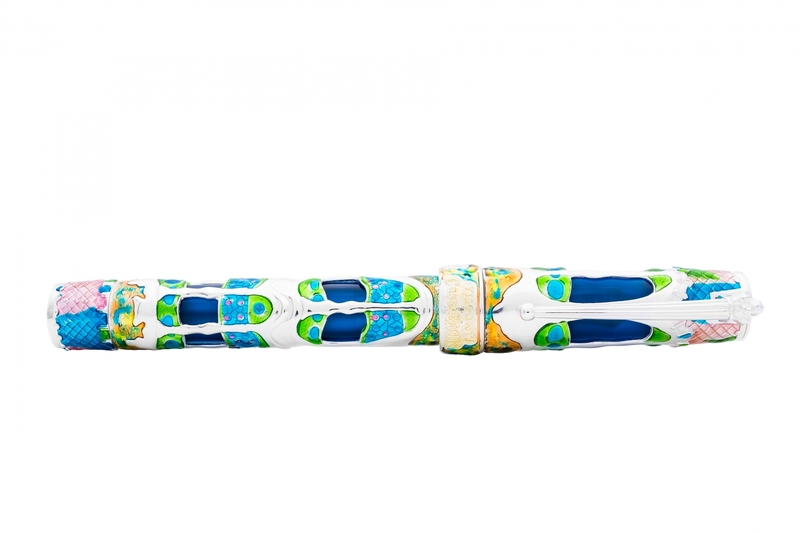 The Pen has been developed with the support of the owners of Casa Batlló in Barcelona, which has celebrated the 110 anniversary since the termination of works in 1906. 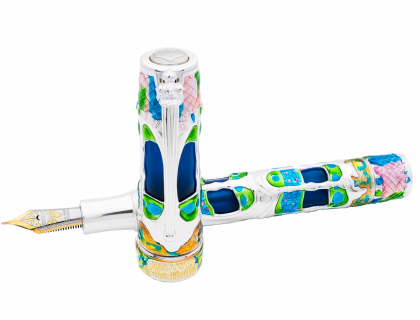 As ambassador of beauty, art and luxury, Visconti has been chosen again to represent the spirit of the famous artist.